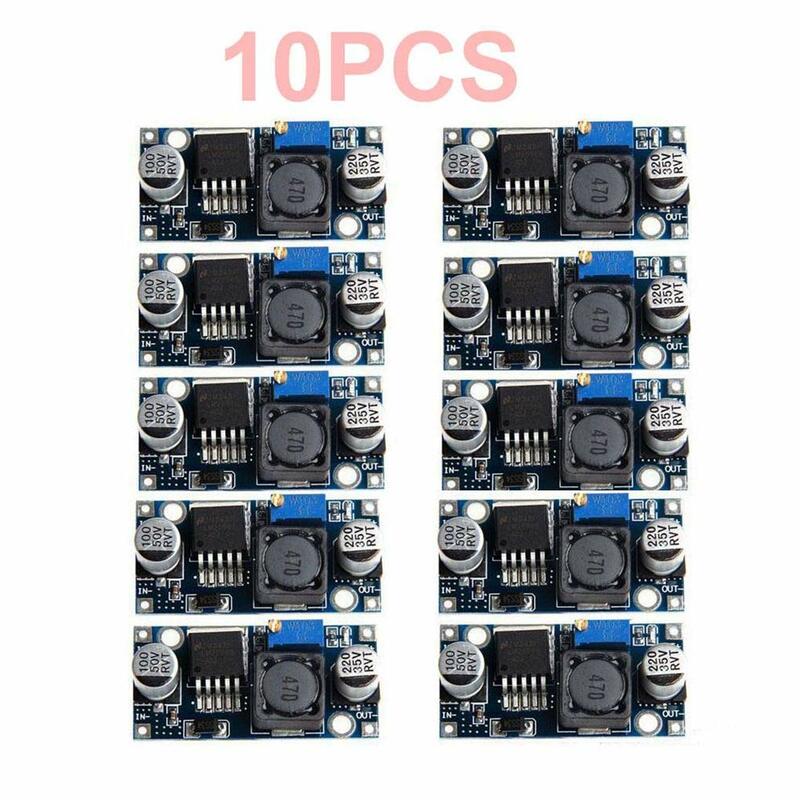 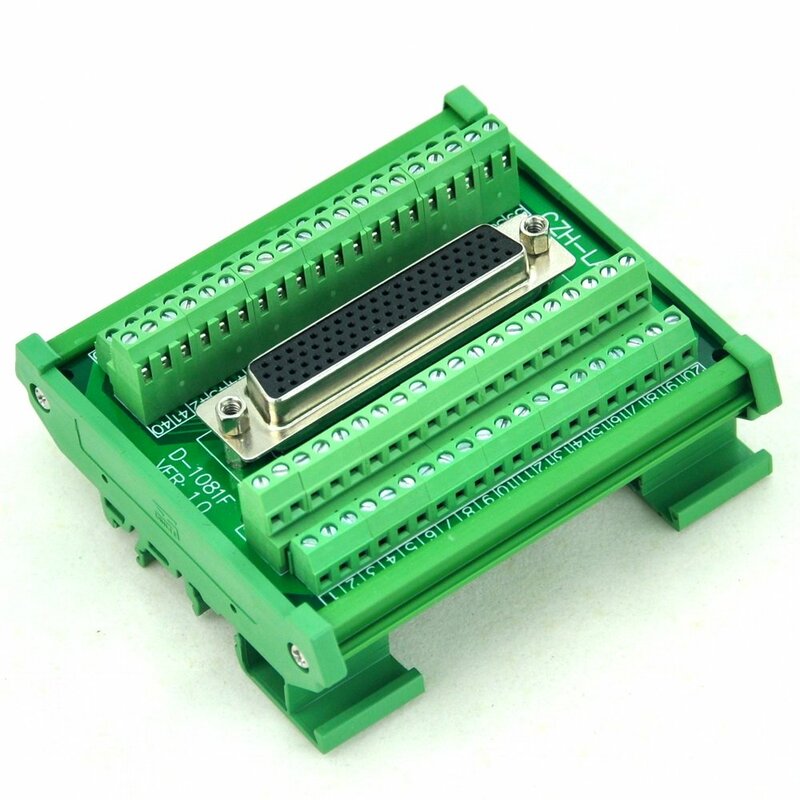 Electronics-Salon Arduino Screw Terminal Block Breakout Module, for Arduino UNO R3. 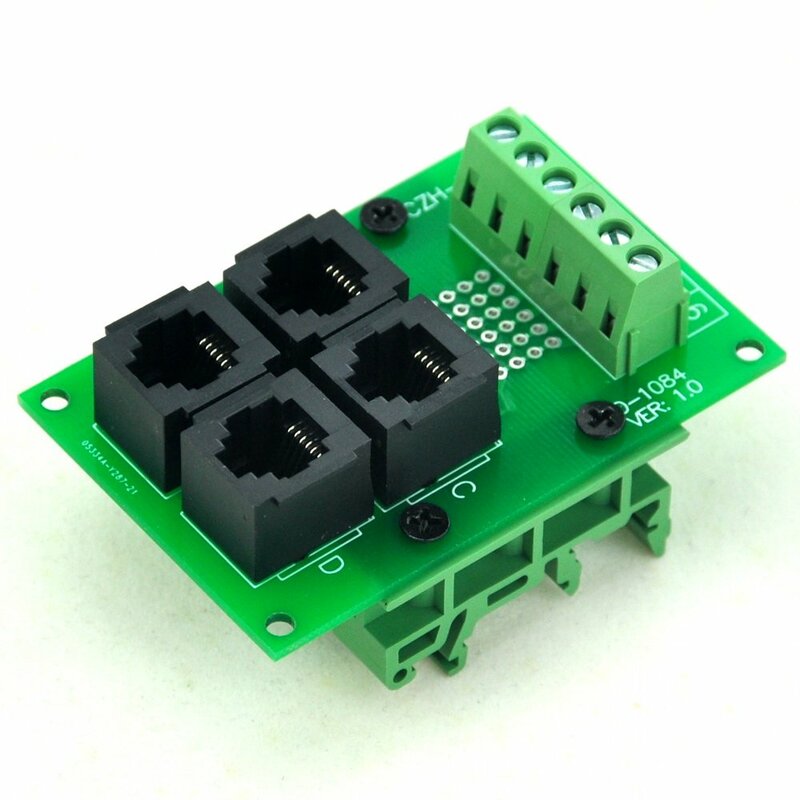 Electronics-Salon D-SUB DB50 Female DIN Rail Mount Interface Module, Breakout Board. 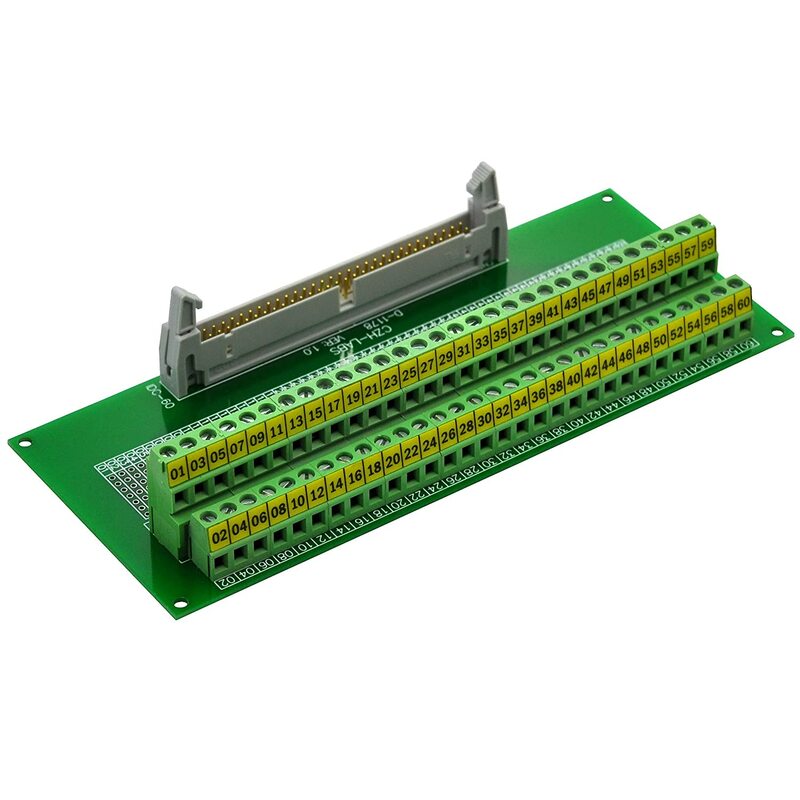 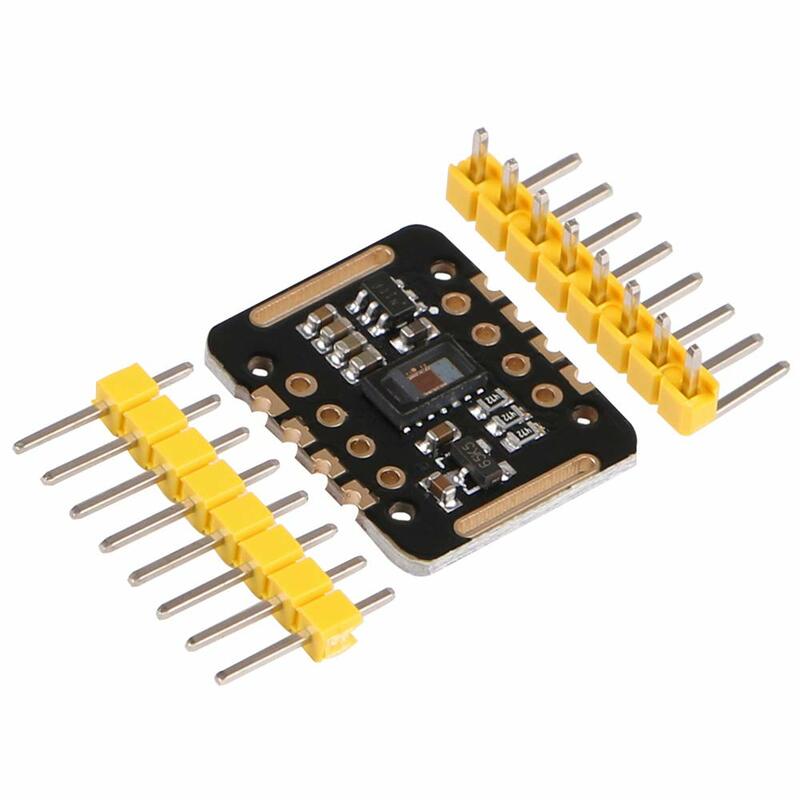 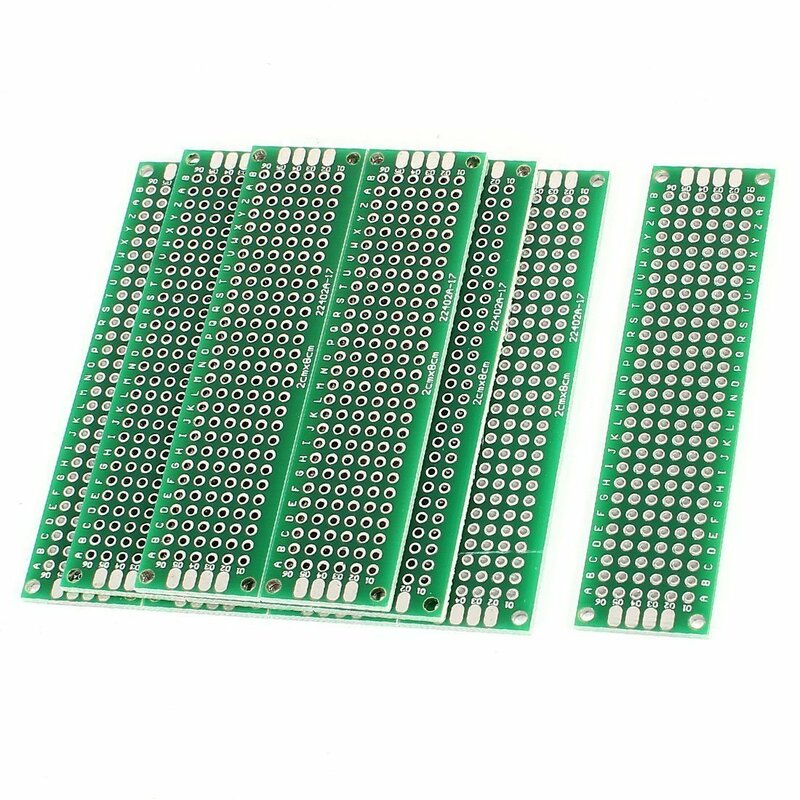 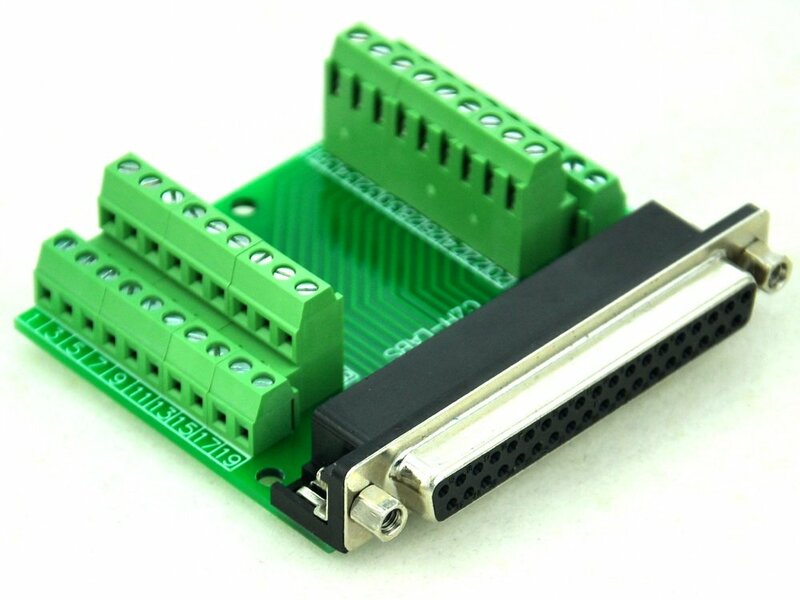 Electronics-Salon Slim Right Angle D'SUB DB50 Female Header Breakout Board Module, Terminal Block DSUB Connector. 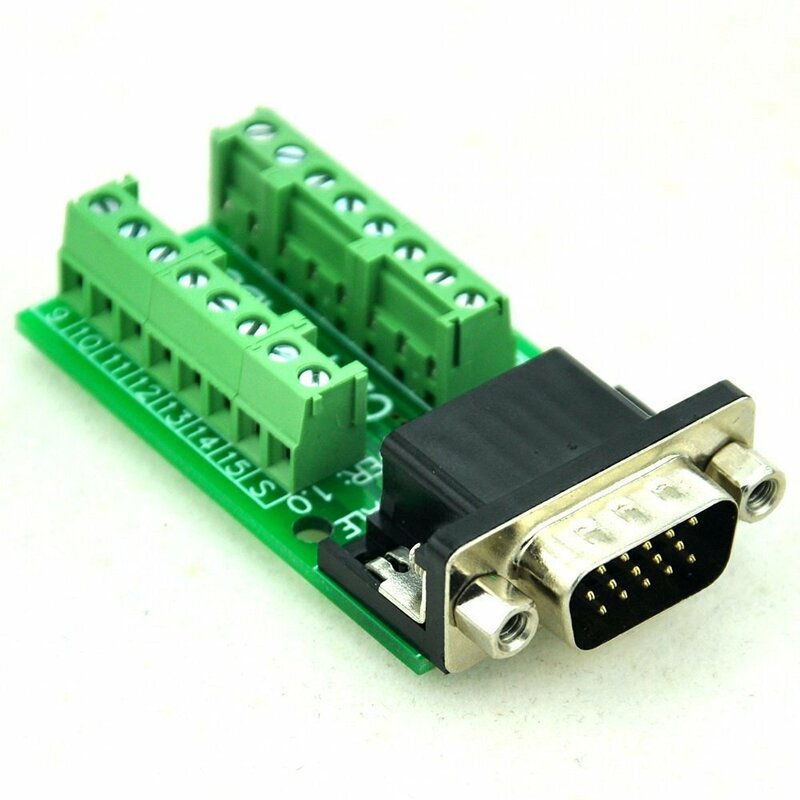 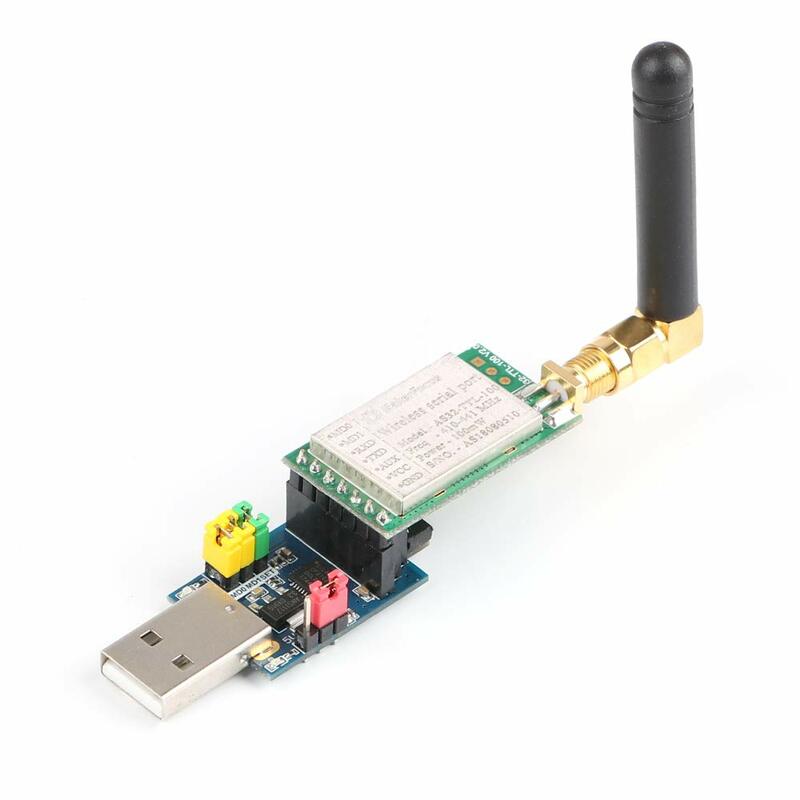 Electronics-Salon Slim Right Angle D'SUB DB37 Female Header Breakout Board Module, Terminal Block DSUB Connector. 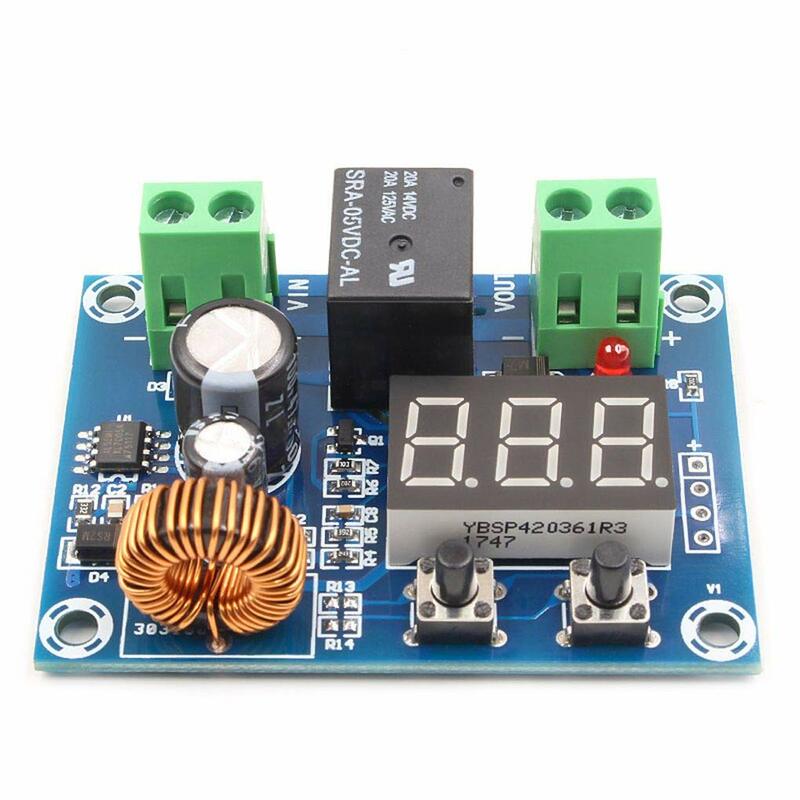 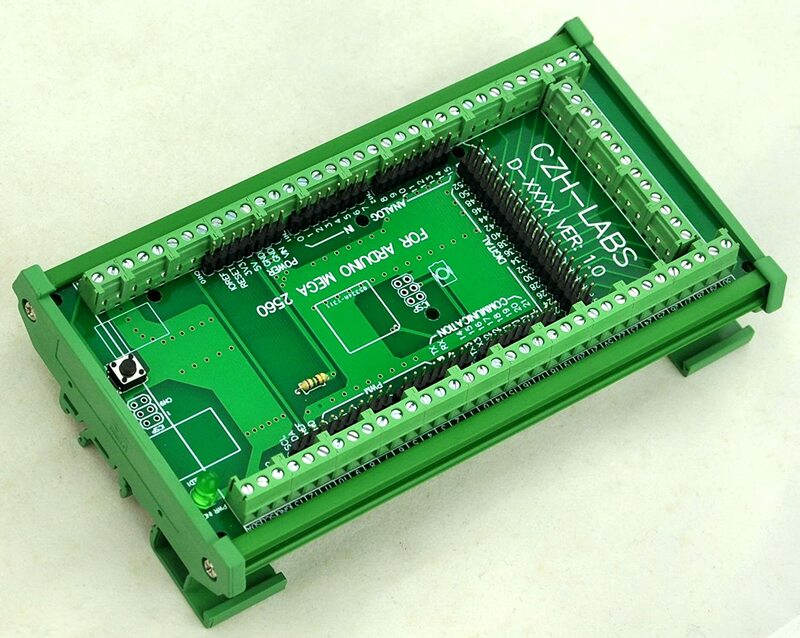 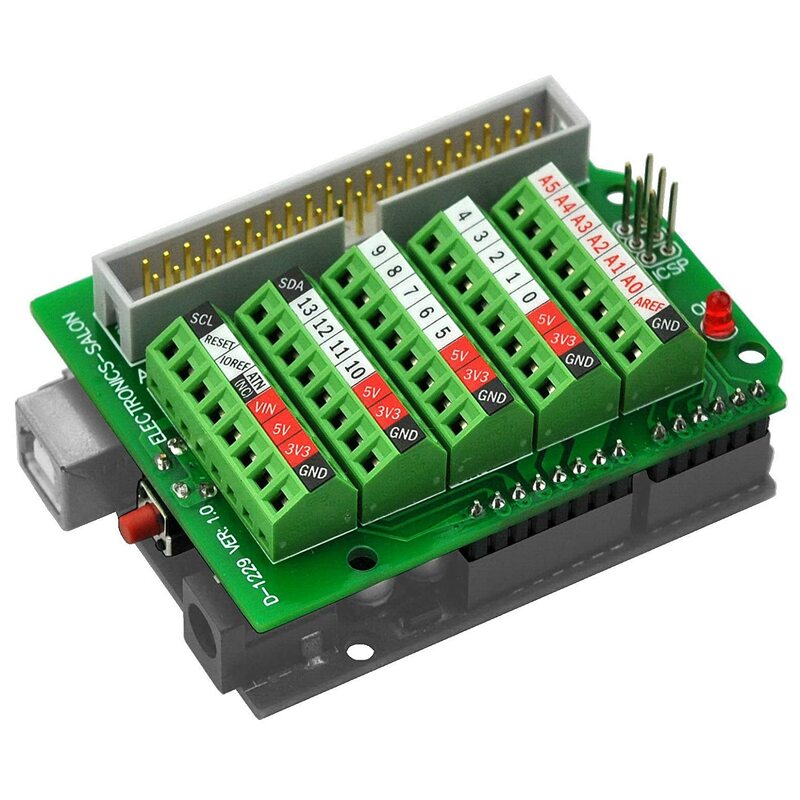 Electronics-Salon RJ11/RJ12 6P6C 4-Way Buss Board Interface Module with Simple DIN Rail Bracket. 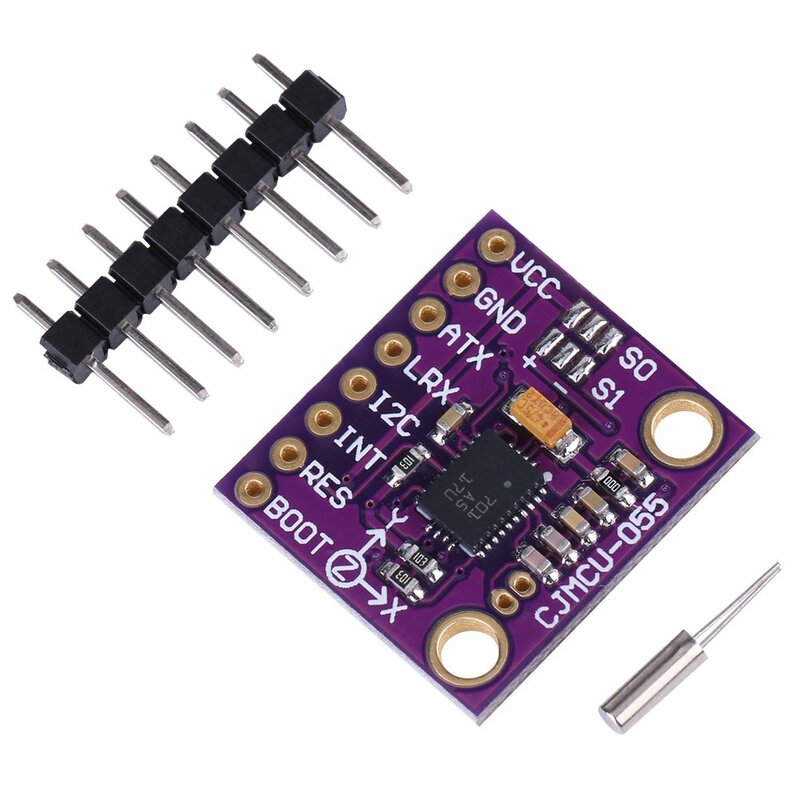 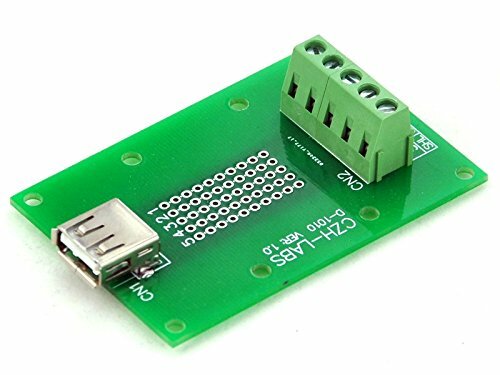 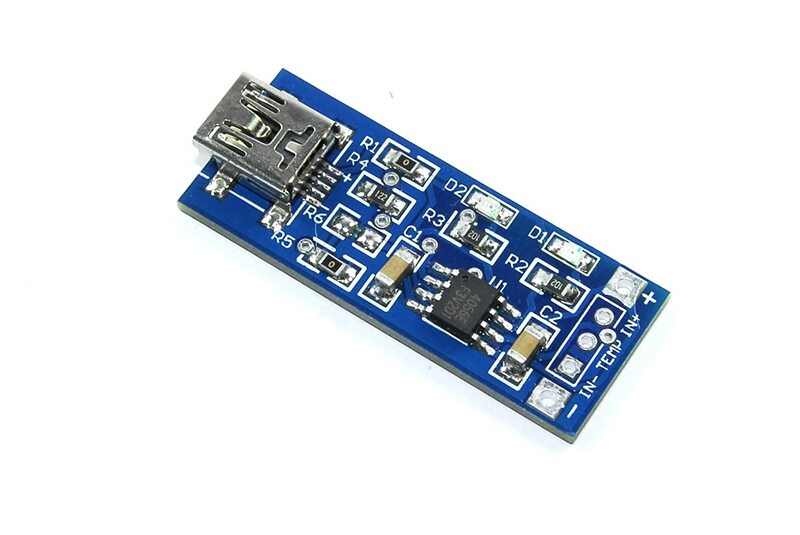 Electronics-Salon USB Type A Female Right Angle Jack Breakout Board, Terminal Block Connector. 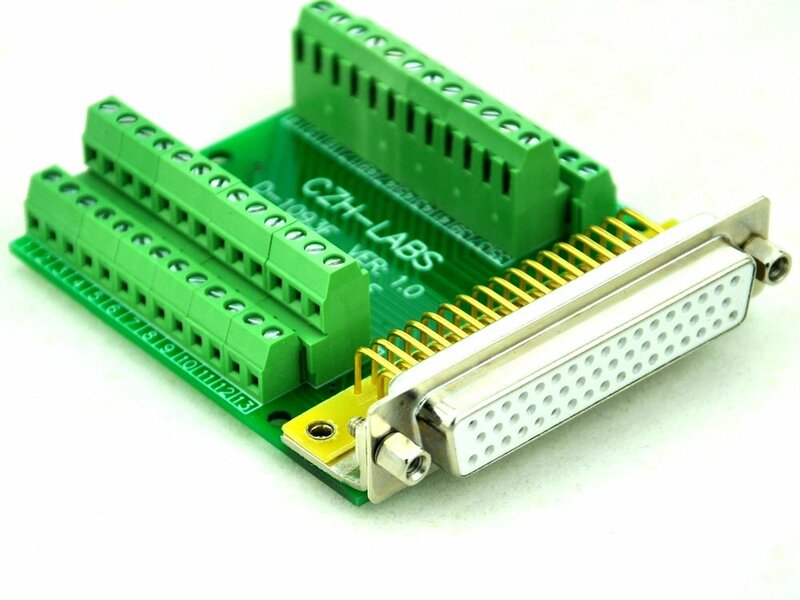 Electronics-Salon Slim Right Angle D'SUB DB15HD Male Header Breakout Board Module, Terminal Block DSUB Connector. 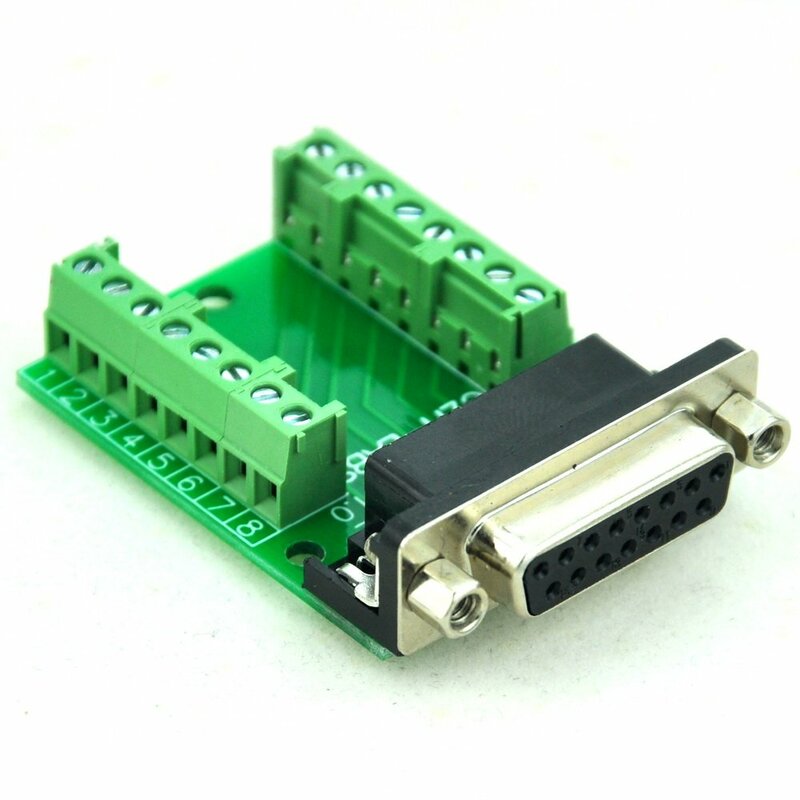 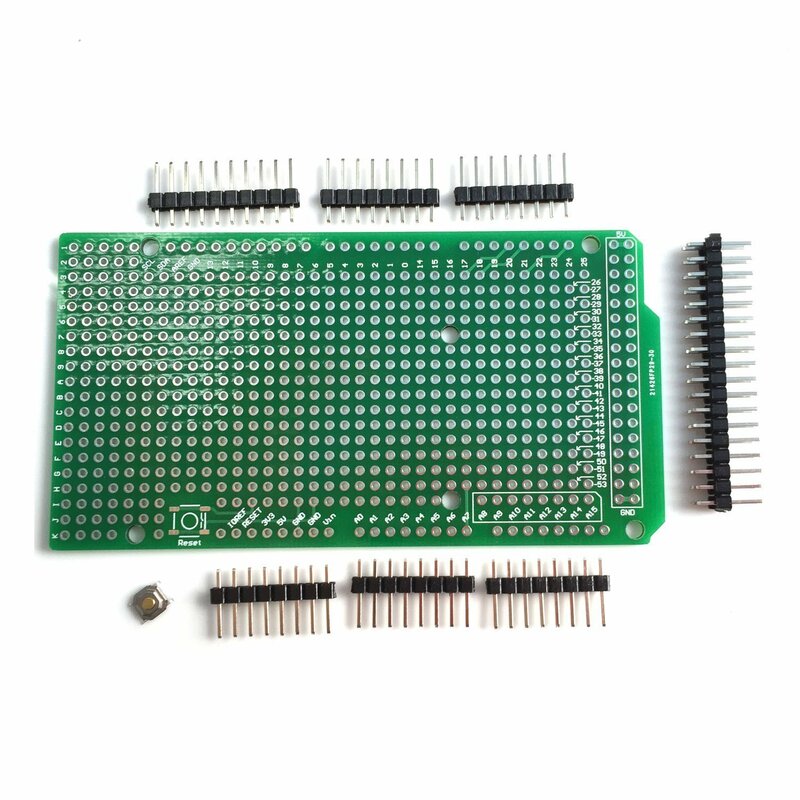 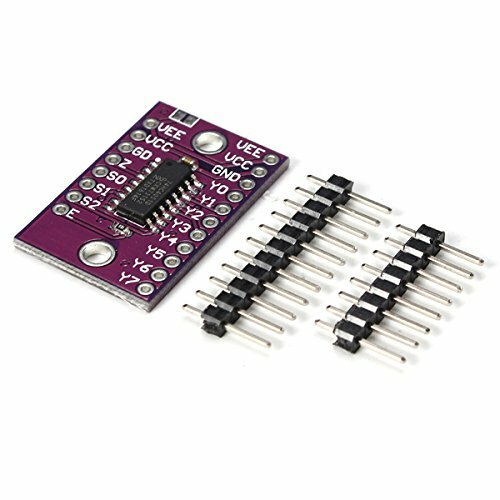 Electronics-Salon Slim Right Angle D'SUB DB15 Female Header Breakout Board Module, Terminal Block DSUB Connector. 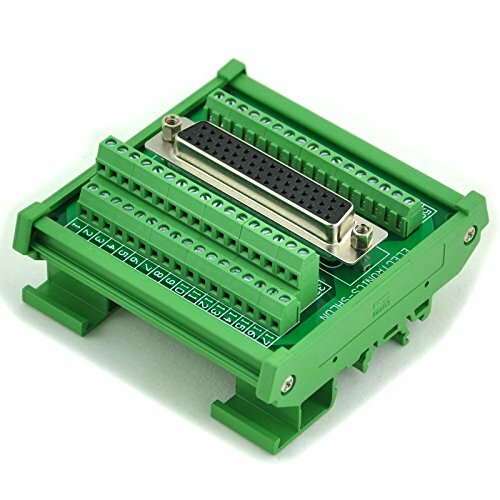 Electronics-Salon DIN Rail Mount D-SUB DB78HD Female Interface Module, Breakout Board, DSUB DB78.